From the moment he saw the horse, General Lee took a special shine to him. 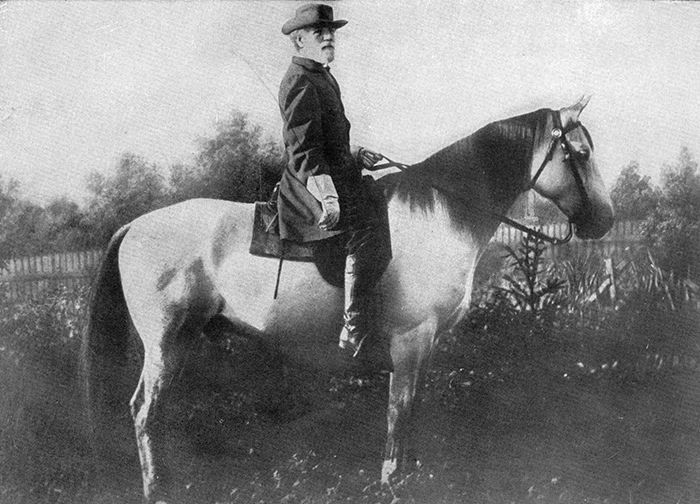 There was nobility there; a character beyond just fine proportions and a lustrous coat, beyond regal carriage and a fancy step, beyond even the proud spirit and intelligence that shone in the creature’s eye—the star of fortune hung over this horse as surely as it did over Robert E. Lee himself. The year was 1861 and Lee was in the mountains of West Virginia commanding a small Confederate force that would suffer defeat in the Battle of Cheat Mountain; his mistakes earned him the embarrassing nickname of “Granny Lee” because people thought he was afraid to shed blood. He had yet to rise to fame as one of the most iconic American military leaders in history. 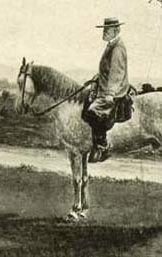 But back on those rough hilly roads, he happened to encounter Captain Joseph M. Broun, quartermaster of the 3rd Infantry of Wise’s Legion, mounted on a steed that Lee correctly predicted would become his own before the war was out. It proved one of the most important happenings of his career, not from a martial standpoint, but in terms of popular history, because Traveller would go on to become the most celebrated animal of the Civil War. Everybody loved that horse. But he was destined for far greater glory than just being the subject of a lot of big talk around camp. Lee had started calling him “my colt,” and spoke words of pleasant praise every time he crossed paths with Broun. 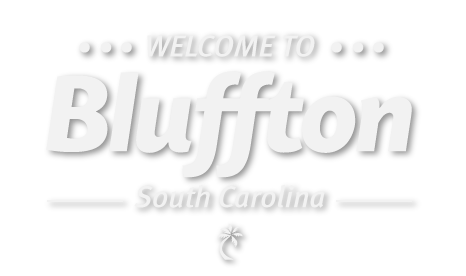 Before he had an opportunity to acquire the horse, however, Lee was sent on orders to the Palmetto State. 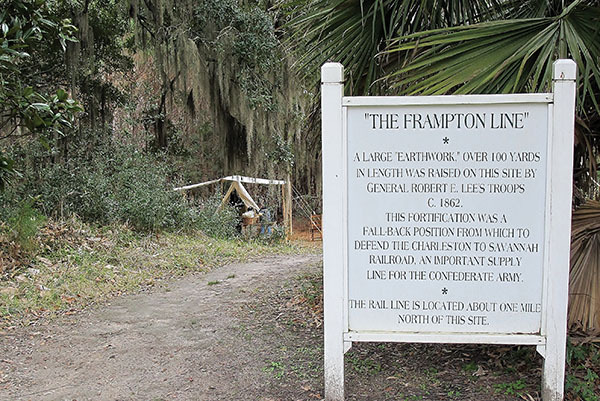 His assignment was to organize coastal defense along the seaboard of South Carolina, Georgia and Florida, which included the construction of earthwork fortifications that can still be seen at places like Frampton Plantation in Yemassee. General Lee’s troops built a gun emplacement there that was crucial to protecting the Charleston-Savannah rail supply line during the 1862 Battle of Pocotaligo; grassy mounds under the trees out back are all that remain of this fortification. But, more importantly to our story, Captain Broun’s company was also transferred to the Lowcountry and, as fate would have it, he met Lee again at Pocotaligo. Immediately recognizing “his colt,” the general still showed such a fancy for the horse that the junior officer realized he had little choice but to offer it up as a gift. Lee declined, saying he would gladly purchase the animal fair and square provided he could first try him for a week to “learn his qualities.” Broun agreed, Lee took the horse, and when he sent it back with a cordial note saying it suited him if Broun cared to sell, that sealed the deal. Broun let Greenbriar go for the same price at which he purchased him: $175, or approximately $4,500 in today’s currency, but the General added a tip of $15 to compensate for the depreciation of Confederate money. 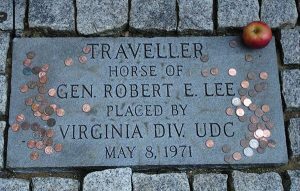 Not long after, Lee rechristened the horse Traveller (spelled with double “L” in good British style) as a tribute to the quick and untiring gait that could easily cover 40 miles in a day, and which would go on to carry him faithfully through the war and even his last days on earth. Evidently, no ordinary man could handle Traveller. Even the general himself occasionally fell victim to Traveller’s hot temperament, as was the case in the Second Battle of Bull Run. Traveller spooked and threw his master down against a stump, causing Lee to break both hands so that he had to finish out the campaign in an ambulance, or with a courier leading his horse. But, more generally, Traveller was noted for bravery and, at times, soldiers had to literally surround him and grab the reigns to keep him from plunging ahead with their commander onto the front lines of battle. In the fall of 1870, Lee suffered a stroke and died two weeks later. For the funeral procession, Traveller was saddled up and decked out with black crepe, then led along behind the ammunition cart bearing Lee’s casket. Within a year, Traveller stepped on a rusty nail and contracted tetanus, an incurable disease, so he was shot to end his misery. He was buried by Lee Chapel at the college, but later some unknown personsdug up the bones and put them on exhibition in New York. 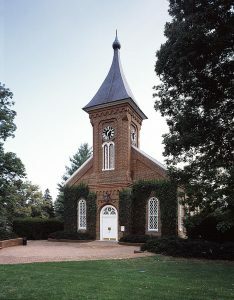 A sympathetic admirer paid to have them properly mounted and returned to Washington and Lee University (renamed in honor of the general after his death); but despite being displayed in a museum, they were vandalized so constantly by students who carved their initials into them for good luck that the skeleton was removed to the basement of Lee Chapel, and there it deteriorated for 30 years. Finally, in 1971, Traveller was laid to rest for good—just a little heap of hero’s bones all powdery and bleached, placed in a wooden casket and buried a few feet from his master in the Lee family crypt. Traveller’s Grave at Washington and Lee University. Photo credit to Hal Jespersen. The stable where Traveller spent his final days is said to be kept with its doors flung wide so the beast’s indomitable spirit may roam at large; and when the 24th president of the university violated this tradition, he caught so much flack from the community that he had to have the doors repainted in a color he called “Traveller’s Green,” just so he could redeem himself. Everybody still loves that horse. Pictures of his grave show it all strewn with pennies by his many adoring fans. “If I were an artist like you I would draw a true picture of Traveller—representing his fine proportions, muscular figure, deep chest and short back, strong haunches, flat legs, small head, broad forehead, delicate ears, quick eye, small feet, and black mane and tail. Such a picture would inspire a poet, whose genius could then depict his worth and describe his endurance of toil, hunger, thirst, heat, and cold, and the dangers and sufferings through which he passed. He could dilate upon his sagacity and affection and his invariable response to every wish of his rider. He might even imagine his thoughts, through the long night marches and days of battle through which he has passed.